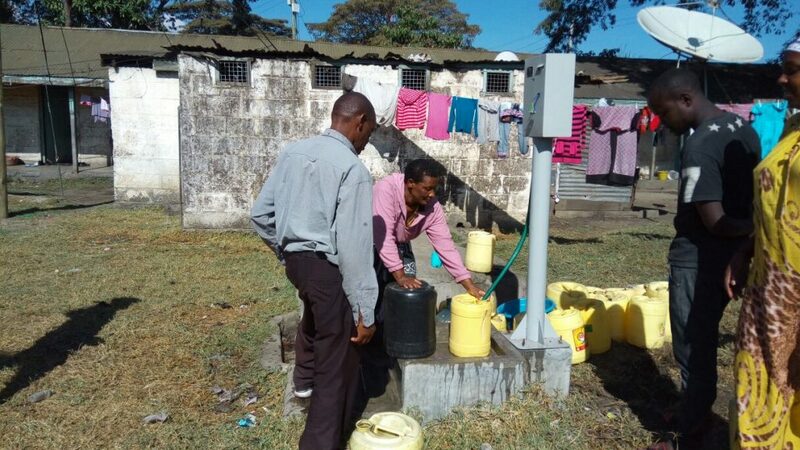 Can a new key performance indicator for the water regulator have a transformative impact on how utilities serve low-income customers across Kenya? 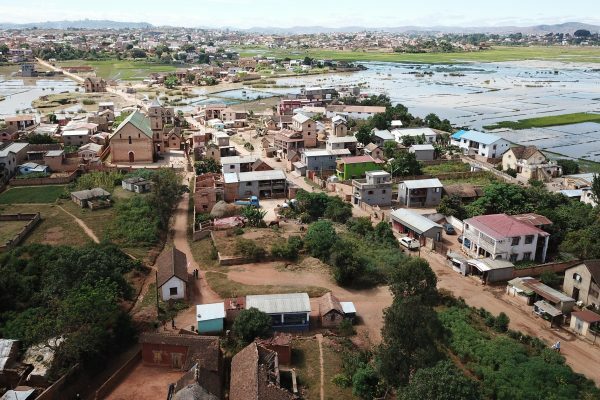 For WSUP, working to improve the capacity of service providers so that they can provide better water and sanitation services to the poorest city residents is an integral part of our work. In all of the cities where we work around the world, working side by side with utilities is at the heart of our operations. In Kenya, we directly work with utilities in Nairobi, Kisumu, Mombasa, Naivasha, Nakuru and Malindi, helping them to set up and strengthen pro-poor business units, develop and sustain viable business models to serve the poor, and extend services to those who need it most. And yet, working with individual utilities is time-consuming. 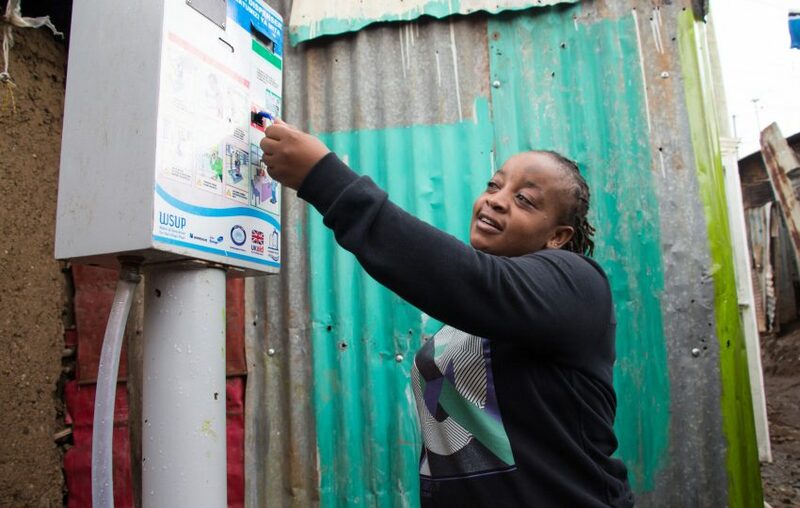 WSUP is a small organisation with an ambitious vision – to improve services for all urban-dwellers – and working with every single utility in Kenya, let alone Africa, would be an impossible task. So for many years now, we have been working on different ways in which we can have a wider impact, to help multiple utilities improve their services to low-income communities without WSUP having to directly support each one of them. I’m really excited that in late May 2018, one of these ways finally came into being. 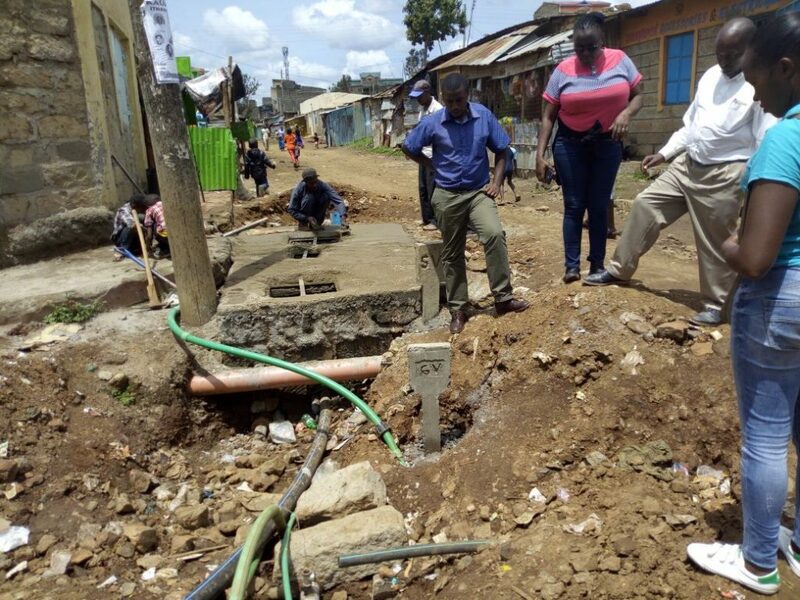 It’s a step that gives us the opportunity to influence every single utility serving low-income urban customers across Kenya, and represents nearly a decade of patient, behind the scenes work. Just like in many other countries, the national regulator – WASREB – plays a vital role in how utilities perform by setting key performance indicators for the utilities which it oversees. These KPIs define standards of services to be provided by utilities, how they should operate the business, and what success looks like on a continuing basis. We realized that some utilities showed high, short-term interest in serving low-income populations but lacked the commitment to sustain and scale-up services beyond programmes that were externally funded. 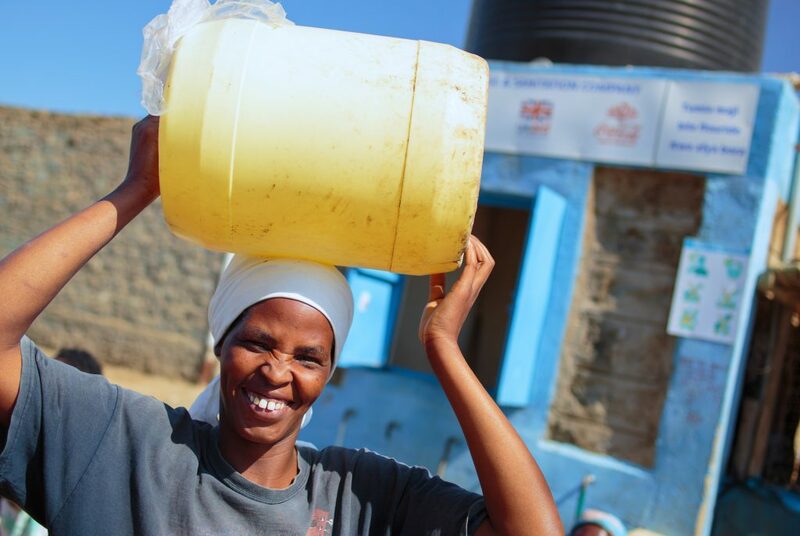 The end of the funded construction phase for water and sanitation infrastructure always ushered in a process of operational disinterest and dilapidation of the investments, with the result that desired benefits would not be enjoyed by targeted households. This is despite service provision contracts issued by the regulator requiring utilities to serve all residents in their area of jurisdiction equally, including the poor. What if, we wondered, we could work with WASREB to strengthen the regulatory accountability of services to the poor? 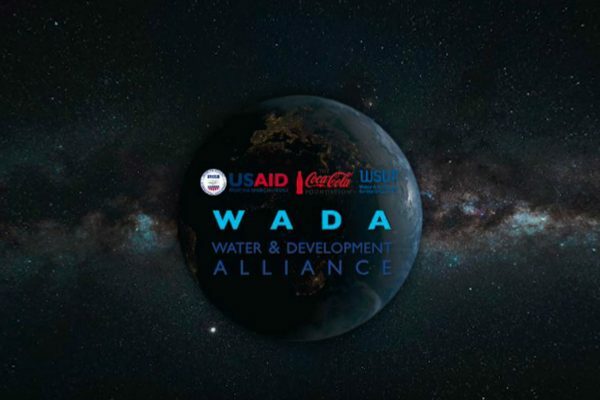 If successful, this would be one single action which could improve service delivery far more effectively than if WSUP worked directly with selected utilities in Kenya, as well as putting WASREB in a strong position to monitor how utilities were serving low-income people specifically. WASREB is as committed to improving services for low-income communities as WSUP is, and after a long period of discussion, we agreed on developing a new KPI to define standards for services which utilities provide to low-income customers. The journey began by looking at how the nine existing KPIs related to targeted services for low-income customers. This was followed by a process of consultation, mainly with large and medium sized utilities, customers and sector institutions, to provide us with data to identify how the new KPI could work. 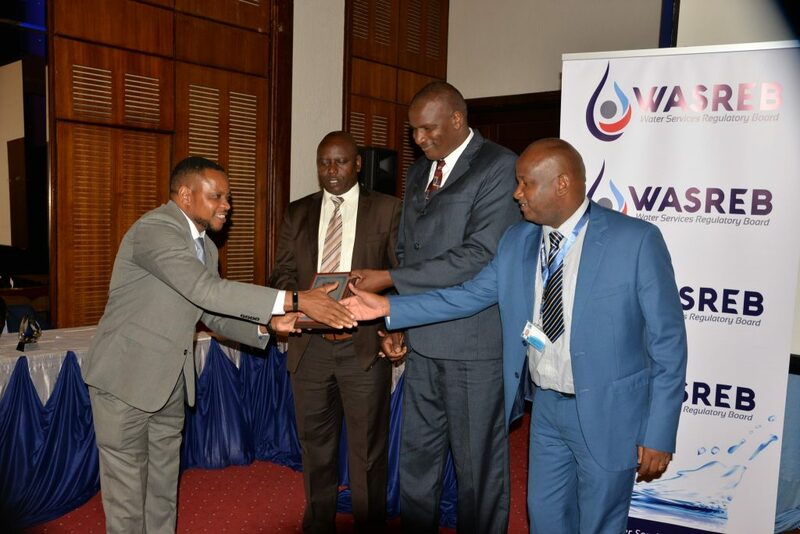 WSUP supported WASREB to draft, validate and test the KPI, and then undertook a process of mapping, estimating populations and trialling data collection for all low-income areas within the nine largest utilities in Kenya. Analysis from these nine utilities was provided in WASREB’s Impact Report No. 10, which was launched in Nairobi at the end of May. This is a first for Kenya, in the sense that the nine utilities were specifically ranked based on the quality of service provided to low-income customers. Starting this year, the next batch of 31 mainly medium-sized utilities will be brought into the fold for the next Impact Report. By end of next year, all 80 urban utilities will be reporting on KPI 10, and all will be accountable on how they invest and serve the poor. The significance of this is immense: serving low-income customers will no longer be a choice of utilities, but a regulatory compliance issue. The recognition of the potential impact of this work was years ago. But the complexity of making the change was far greater than we anticipated. The fact that almost no similar work has been done by other regulators made it a difficult project to start, and brought about extensive stakeholder consultation process. Along the way, we realized that defined service areas for low-income populations did not exist, meaning that utilities could not collect and analyse data required to report on KPI 10. So we had to conduct population mapping in all the low-income areas of targeted utilities – a costly and long process. Developing the KPI also required that data capture tools had to be developed, that changes to the management information system in WASREB were required, and utility staff had to be trained on the KPI and the process of data collection and analysis. But finally, we are here: WASREB now has a new KPI 10. By the end of 2019, all urban utilities will be reporting on the KPI, the weighted performance of which will be aggregated in the overall ranking of the utilities. Some of the previously best-performing utilities that had gained glory by neglecting low-income people, may suffer in the rankings. 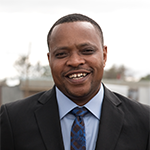 But on the positive side, this change represents an opportunity: for those utilities committed to serving the poorest urban residents to see their efforts rewarded. 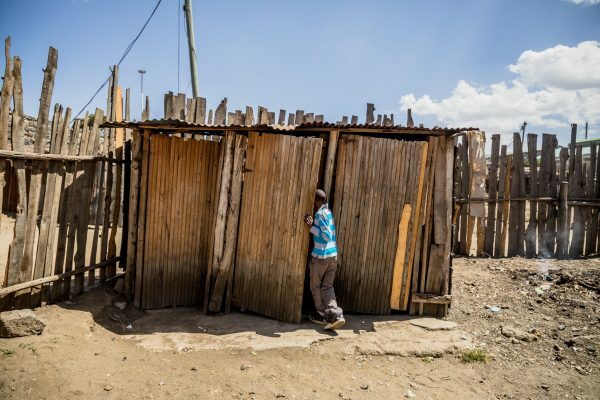 We are confident that as the new KPI gets embedded, more utilities will take hold of this opportunity and zealously invest in improving services for Kenya’s low-income residents. Find out more about our work in Kenya. Keep up to date by signing up to receive our newsletter. Signing up means that WSUP will add you to the distribution list for our newsletters, which we send out approximately every six weeks. We will never pass your details onto third parties, and you can unsubscribe at any time by clicking the link in a newsletter.